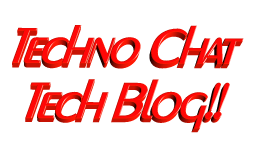 home folder permissions | Techno Chat|Tech Blog!! If you are having a domain controller, and decided to give a personal drive for all users, then home folder configuration is the best way to do it. But if you want to make it secure for every users, then you have to configure something extra with ntfs security and share security. Make it secure, so that one user can not view others home folder from home share. Browse option should be disabled. First option was easy and simple, but I have to think a lot on second option. Posted in Group Policy, Server, Windows. Tagged home drive mapping to root, home drive not mapping, home drive not mapping active directory, home drive permissions, home drive permissions server 2003, home drive permissions server 2008, home drive share permissions, home folder not mapping, home folder permissions, home folder permissions server 2003, home folder permissions server 2008, home folder share permissions. Life may have no meaning. Or even worse, it may have a meaning of which I disapprove.